I've amassed a large shelf of children's book with interesting illustrations. As a way to avoid working, I thought I would scan some in to share on my blog. 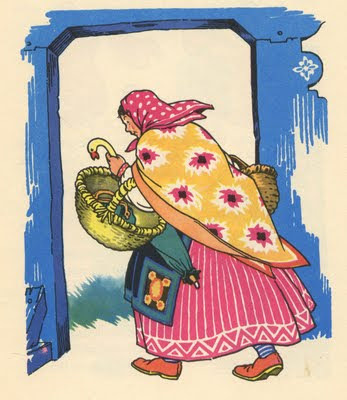 This is from The Poppy Seed Cakes by Margery Clark with illustrations by Maud and Miska Petersham.